Wish we had a Restaurant Depot. Will check with my local grocer meat market, they may need to order them and Angus choice or better is preferred. If they cannot get them know a good meat market that probably can but is not close. Everybody here does pork ribs. When we are back home in Texas at a decent bbq place we order beef ribs a lot. Darn good & a juicier alternative to brisket. You leave fat cap on, right? Cooked bone side down? Foil crutch or not? Generally I have foiled them am not sure is necessary. Short ribs are in the grocery around here but they are cut up into tiny pieces to fit in a crock. These were about 10 inches long. I'll bet your local grocery gets them packed like Restaurant Depot and can just sell you one whole hunk. I used 5 lbs of it ground up to make 11 lbs of your famous beef sausage. The bones make amazing broth and yielded another lb of cooked meat during the braise. I didn't trim a thing. After I made them, I looked at forums and such and others recommended trimming. blah blah blah, glad i didn't. I didn't bother with the peritoneum membrane either. I figured that was going to turn to leather in the smother, no meat in that side anyhow. I did put a sheet of foil under the meat with something in it, like part of a beer or something, I don't remember. No kidding simplest thing i ever smoked. I had some BBQ out to dip into but didn't use that. I'd like to know what changes you make. Truth be told, i spent the whole day trying to get my smoker cooler but it was in the sun on a 90 degree day and could have been heated with a match. Maybe I'll end up with an insulated one some day. They sell short ribs here already chopped up into singles. Will see about getting a slab & may check on availability of beef back ribs (dinosaur bones). The plate or chuck ribs are the short ribs. Might just get a prime rib roast & trim the ribs out & cook separately. Cooked a whole prime rib roast at Christmas, loved it long time, the roast & the ribs. Did not have to trim anything, not needed. Usually simple seasoning - salt, pepper, some cayenne and/or mustard powder depending on my mood & what I see in the spice cabinet. Think I used a drip pan with water. Like to do that for the longer cooks since adds steam to the smoke. Bet that sausage was good! Have decided next batch is back to all beef with a pork fat add. So far nobody can tell the difference, want to see if I get any comments with 100% beef. Know what you mean by temp variation. When my Kamado is in the shade it can be 20 degrees cooler than when the sun hits it. Has never been a problem, guess am not a purist on the "gotta hold at 225 F EXACTLY blah blah". It all evens out as long as it is close enough & not too cold or hot. It's just heat and meat and smoke and time, ain't sending a rocket ship to the moon or anything. He kills Wild Hogs enough to live off the meat. These recipes can be made with any ground meat - venison, wild boar, or lamb. These recipes can be made with any wild game cutlet - venison or wild boar. Scored a retired beverage fridge that you typically see at impulse buy checkouts at the local grocery. I stripped everything out of it (fan, lights, wiring, compressor, coolant lines etc) to end up with a metal insulated cabinet. All it needs now is a hot plate and upper and lower adjustable vents and I'll be making bacon, smoked sausage, bacon, cured meats, bacon, ham, bacon, and pepperoni. I'll be adding a temp controller too. In the winter, I'll be able to do cold smoke items. The only investment so far is $1 for furniture foot pads to replace the heavy metal plate that held the compressor. Maybe you should buy an oven and convert it into a refrigerator with your take off parts? 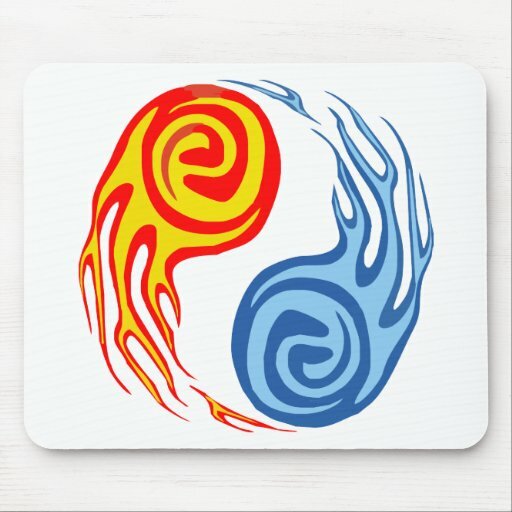 Yin/yang, tao of the Posty? We don't need refrigeration in the Arctic. I forgot you have the permafrost. Plus the Global Warming could be making it colder there, as well as hotter, or both. Smoked ribs yesterday for lunch. 5 1/2 hours, dry rubbed. With homemade sausage smoked with them the last 45 minutes. We ate that pig like we were pigs. As good as any I have ever made. Not falling off the bone, but just close enough. Rant - boiling ribs is unkind to pork and whoever thought of this shortcut should be boiled. Smoke, heat time. Not water. Local place does this. $%#^&* End of rant. Sounds great. And I think they're better before they fall off the bone. Fall off the bone is basically pulled pork. I don't boil them in water. But I do braze them now based on Jim's recommendation. But I use a flavorful liquid as the braze. I don't know what that liquid is yet. I change it every time. But it's almost always got alcohol, Worcester, and brown sugar. Have tried a stock reduction too, but it was too salty. Have tried that. Yesterday decided to keep it simple. Trimmed them a little more than usual, nice cut. Meat selection makes the difference as much as anything, for me. Used my dual thermometer for grill temp/meart temp. Dry rub, sit for about an hour. Used water to stick the rub, used to slather with mustard. Water worked just as well. Added some dry mustard to the rub. My part of Texas is big on mustard and meat. Smoked at about 235. Fire was hotter than planned because of Global Warming, made no difference. No flipping, turned them once about halfway. Figured on no sauce, changed my mind, light sauce to make them a little sticky. I always add sauce. I don't care what the experts say. I like sauce. I like it on steak too. Even good ole A1. Hell I'll put ketchup on a steak if there's nothing else. I like sauce on meat. And the great thing about being a grown up is I can do it if I want. What I don't like is people who tell me how I must like something. It's my f$#@ing taste buds bud. Stay off them. I'll be glad to try any recommendation that someone may have, but do not tell me I can't or shouldn't eat something the way I like it. I also like mustard bases even though I've never been from Texas. I've been to Texas but I don't think that counts. Mustard is good and used in a fair amount of PA Dutch stuff, but not so much on meat. PA Dutch is great for deserts, salads and breads. Meat is boil til it's dead and then boil some more. Too bad they were never from Texas. I use a honey mustard base on almost every pork item I cook that gets a rub. Certainly I have it in my home made dry rub which is never the same twice. Same here. If somebody else boils their ribs until the meat falls off, fine for them. But don't tell me that's how I am supposed to like it. A few years ago saw tv food shows showing 'the secret to great ribs." Boiled, like they do it at chain restaurants. Really? Yep, just like a chain restaurant rib. The guy who fixes restaurants that are failing did a show on it and the poor near bankrupted owners kissed his ring for it. Sad, to me. Place in DFW with multiple locations was famous for ribs. They fell off the bone. Wife's cousins loved them long time. They tasted like....they had been boiled. I checked. They were. Long time ago found out people's taster's are very different. What some like, I don't. Big wide wonderful world, room for all of it. Except Brussels sprouts. Hate them long time, do not care how they are cooked. BBQ joints around my part of Texas did not boil anything. Smoked. Time. Not sauced. Atr the serving counter, never on a table, there was a little vat of warm bbq sauce if you wanted sauce. 1 kind, whatever they made at that joint. 80% of them used Cattleman's BBQ sauce as a base and added some stuff or just warmed it and served as it was. Always warmed, never cold or room temp. Unlike the bbq joints in the east. 14 kinds of goofy named sauces "Hell is Hotter Than Hell" or "Sweet Mild of Mine" or some chit in little table caddies. A ritual is to order the meat then add a little of this or that table temperature sauce and decide which is best. For me for the first few years was as much fun to watch this ritual as going to the zoo. Now I find myself joing along, since most times the meat served, even pulled pork, would be too bland without a sauce. Have about given up on eastern briskets. So many tries, so few decent ones. Not sure why but just like the ones back home better. Have had tough stringy dry roast style briskets way too many times in the southeast. Seems to be what is preferred, since the very few times have had a decent brisket somebody says...this is too fatty/juicy. WTF? Not supposed to be shoe leather. We boiled chickens. Lots of boiled chickens served several ways. Guess could say we boiled roasts with carrots & potatoes and onions and stuff but was more like simmer in water all day than boil. That's about it. Everything else was fried, grilled, roasted, or smoked. Order a hamburger in a joint back home, defut sauce is mustard. Not so everywhere else. The Texas Germans used mustard historically. My guess is was so damn hot the mayo spoiled and mustard did not. Read up on rubs at Jim's bbq website and have tried mustard, oil, and water prior to the rub. So far water has worked as well to stick the rub and the taste compared to mustard slather is the same since I add a little mustard powder to the rub. Amazing ribs is the site. Some stuff they recommend has been great, other stuff not so much. Water is easiest, mustard slather looks better initially. Thought there would be a difference but nope. May I just say that I concur whole heartedly. I never trust anyone who actually likes green sulfur mini cabbage from hell. Anything named after anything in Belgium should be avoided.